IH-45 North to SH 105 exit. Turn right on SH 105 (West Davis). Go to third red light, San Jacinto Street, and turn left. Go three blocks. Soules Insurance Agency is on the northwest corner of San Jacinto and Nugent. IH-45 South to SH 105 exit. Turn left on SH 105 (West Davis). Go to fifth red light. Turn left on San Jacinto. Go three blocks. Agency on northwest corner of San Jacinto and Nugent. SH 105 (East Davis / Phillips) to San Jacinto (first street past Conroe City Tower) and urn right. Go two blocks. Soules Insurance Agency is on the northwest corner of San Jacinto and Nugent. SH 105 (West Davis) to San Jacinto and turn left. Go three blocks. 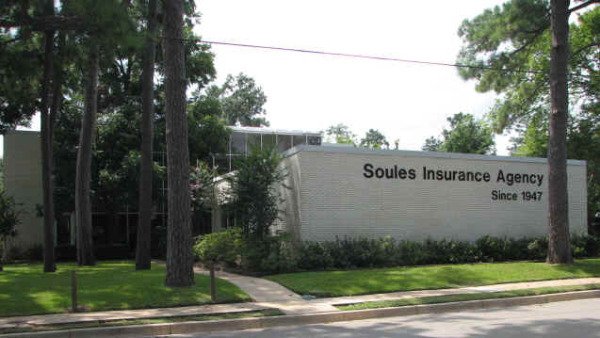 Soules Insurance Agency is on the northwest corner of San Jacinto and Nugent.